Dr. Brice Arndt, DDS of Camp Hill volunteers regularly at Bethesda’s Dental Clinic. 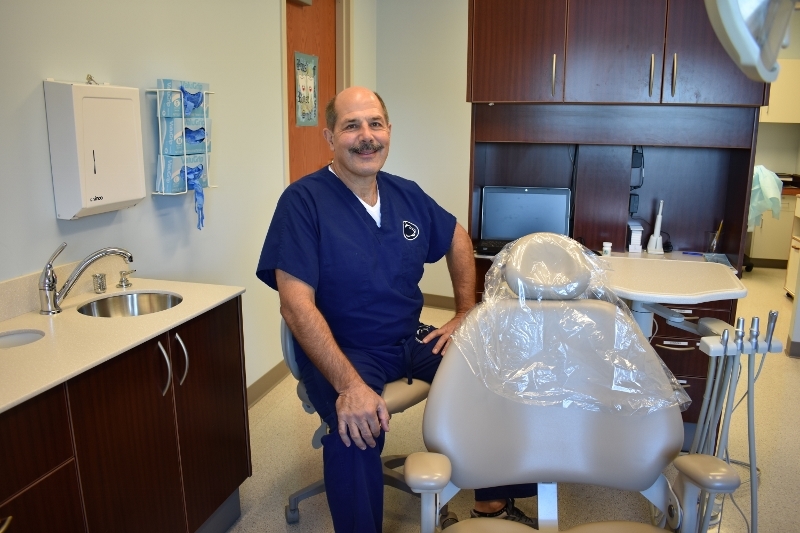 Sitting in Bethesda’s state-of-the-art Dental Clinic that was built in 2014, Dr. Brice Arndt leaned back and reflected on his experiences as a volunteer dentist. “Here, in all respects, is God’s House,” He said. “All you have to do is walk through the doors and you can sense that.” Made possible by volunteer professionals like Dr. Arndt, the Dental Clinic has come a long way from its humble beginnings as a simple idea to an extension of Bethesda’s long-term recovery services, caring for over 1,500 guests a year. Starting in 2009, Dr. David Russell had a vision to alleviate the medical complications for shelter guests who lacked proper dental care. With two donated dental chairs, Dr. Russell created an fully-functioning dental clinic that was rooted in serving guests while sharing the love of Christ. Now, the clinic performs various services like x-rays, comprehensive examinations, teeth cleanings, extractions and fillings, dentures, and urgent dental care. Volunteer dentists, dental hygienists, and on-staff dental assistants all join together to make the Dental Clinic God’s house; a place where guests can receive professional care in a calm, Christ-centered atmosphere. Originally hailing from Madison, Wisconsin, Dr. Arndt’s life took some interesting turns to end up in Harrisburg, Pennsylvania. He completed his Dental degree at the University of Minnesota where he played football for 4 years and met his wife. After completing his residency in West Virginia, the new DDS (doctor of dental surgery), began looking for somewhere to settle. “A place to start taking care of people and getting involved in the community” was at the top of his priority list. With the help of the Places Rated Almanac, Dr. Arndt and his wife visited Harrisburg for the first time, fell in love with the area, and haven’t left for 33 years. Due to his interest in engaging with the community, Dr. Arndt volunteers in various forms. Years ago, a friend and previous director of Bethesda first connected him to the Mission. Later, Dr. Russell exposed him to how he could be involved and volunteer his dental services. Thus began the direct relationship between Dr. Arndt and Bethesda Mission. 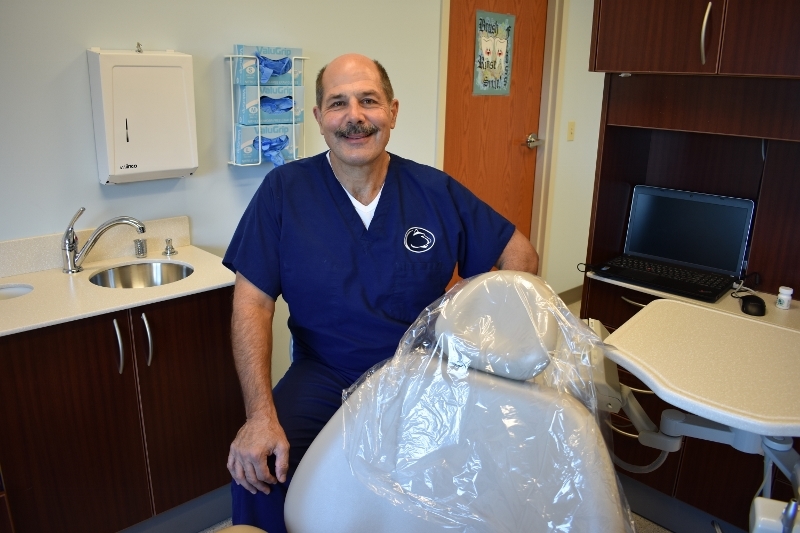 “I love being a dentist,” Dr. Arndt said, “I have fun doing it and there’s such a need here.” By volunteering at Bethesda, Dr. Arndt is able to do things that he enjoys, like surgery, to improve dental care for the guests. “With the minimal gifts that I do have, I try to come here and be of assistance. 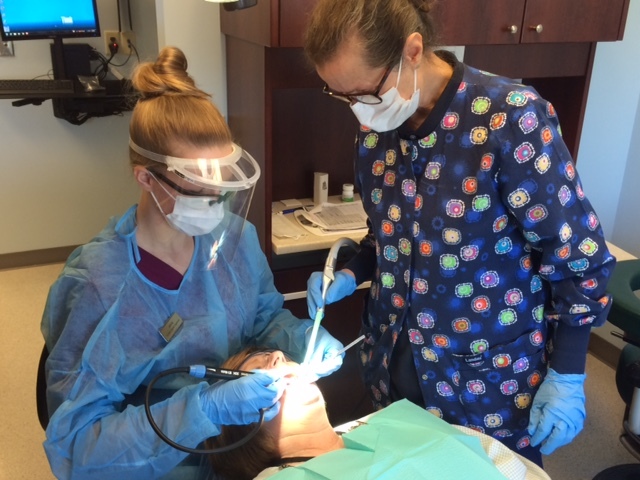 Bethesda Mission Dental Clinic depends on volunteer dentists like Dr. Arndt to provide over 450 hours of service per year. Because of their commitment, guests receive the proper care they deserve in the midst of a loving, Christ-filled environment. If you or someone you know would like to volunteer at the clinic, please send them our way! Contact Deb King, volunteer coordinator, at 717-257-4442 x222 or dking@bethesdamission.org.